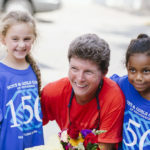 Judy Davis has embarked on the journey of a lifetime, biking across the United States to support the Boys & Girls Clubs of Providence swim program and to establish an Aquatics Endowment. This critical funding will continue to provide funding for swim lessons, support for our swim program, and swim scholarships. Whether you are helping provide kids with swimming lessons – teaching life-saving skills to our beginner swimmers, or helping provide an area to practice for our more experienced swimmers, together, we are helping teach our kids important life skills in a safe and nurturing environment. 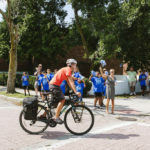 There’s still time to make a gift to support her ride – click here! Judy is a lifelong resident of East Providence, Rhode Island and is the owner of the Law Office of Judy Davis, LLC. She attended Vermont Academy in Saxton’s River, Vermont, and Hobart & William Smith Colleges, Geneva, New York where she received a BA in Political Science. While a police officer with the City of East Providence, she earned her JD from Roger Williams University School of Law. Upon finishing law school and passing the RI Bar she transitioned into the RI Department of Attorney General as a Special Attorney General in the Criminal Division. Before opening her own law office in 2014, Judy also worked in the financial services and title insurance industries. As a lifelong athlete, Judy has participated in everything from Little League softball to collegiate lacrosse and soccer. She coached high school lacrosse at East Greenwich High School for five seasons. To stay active she currently runs, bikes and participates in the masters swimming program at the Boys & Girls Clubs of Providence. 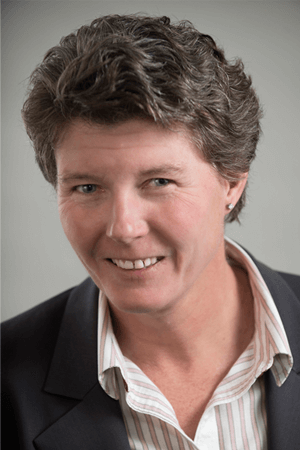 She has served on various boards and committees, and most notably, is a past President of the Rhode Island Women’s Golf Association and current board member of the Rhode Island Golf Association. Judy is also an avid reader and writer. Why do we do the things we do? I’ve found in looking back over the course of my life that the times when I’ve been the most engaged and energized have been the times I’ve been focused on a major goal. As a youth it was school and sports, getting to the next level. In college more studies and the quest for a national lacrosse championship. Things get more difficult once school is done, it’s harder to juggle earning a living and making your way in the world with major projects. With that being said the reward is that much better when you achieve your goals. The list is long, law school, running a marathon, passing the Bar exam, reading the hundred greatest novels of the 20th century, playing competitive golf, starting my own law firm. The goals get bigger and the satisfaction gets greater. Lately, I’ve found myself without a challenge and growing restless. Then one night like a bolt of lightning the next goal comes sharply into focus: bike across the United States. I’ve always wanted to go cross country just never figured I would do it on a bike. Read Judy's full mission here! To make an online donation, please click on the DONATE button above. For more information, please contact Mary Anne Stchur, Director of Philanthropy at (401) 443-4927 or email mstchur@bgcprov.org.